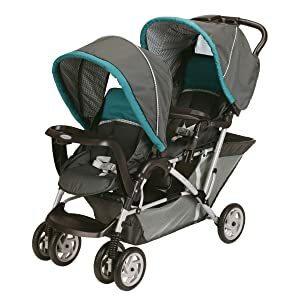 If you are looking for a double stroller that is easy to maneuver, seats two children comfortably, and is lightweight and really easy to pack away then the Graco DuoGlider Classic Connect Stroller is the double stroller for your family. If you are looking for a double stroller that is easy to maneuver, seats two children comfortably, and is lightweight and really easy to pack away then the Graco DuoGlider Classic Connect Stroller is the double stroller for your family. You do not have to think twice because this stroller combines comfort and convenience at a price you can afford. This double stroller has a stadium style seating so that the child at the rear can still get a good view of the road while strolling. It can fit two infant car seats. Both seats recline, in fact the rear one can fully recline to allow for naps for an infant. It is also very easy to maneuver due to the swiveling front wheels, and the width makes it easy for you to get in and out of public doorways such as those in shops and stores. More importantly it is easy to pack away as you only need one hand to fold it up. It also locks into place automatically, and can stand on its own. It is lighter than similar products in the market too. The Graco DuoGlider Classic Connect Stroller has safety harnesses, and has a two-step breaking system that gives parents a peace of mind while using it. It also does not tip over easily. It is made of very durable materials that will ensure the safety of the children. This double stroller will be comfortable for both children especially during their infant car seat stage. If this will be used by different-aged children, say a toddler and an infant, then the infant can take a nap on the rear seat as it fully reclines, while the older child can relax a bit in his reclined seat upfront. When the infant is not sleeping, it is good to note that she can still get a good view, thanks to the stadium-style seating of this stroller. It also comes with adjustable canopies, foot rest, as well as child trays. 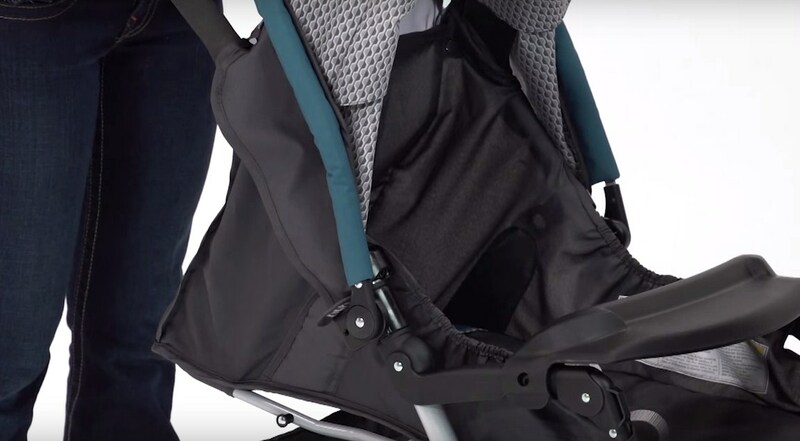 This stroller can accommodate Graco SnugRide car seats, in both the front and rear seats. It is fairly easy to maneuver because of its swiveling front wheels, and easy-to-grip handle bars. More importantly, it can be folded using one hand, it automatically locks in place, and it can stand on its own, while waiting for you to stow it either in your trunk or home storage. It is lighter than other similar types of stroller too. It also comes with an extra-large under seat basket that can accommodate a bigger diaper bag. It also has a parent cup tray and a covered compartment that could hold keys and mobile phones. It is also easy to spot clean, as the stroller is made of high quality fabric. Stadium-Style Seating: Your kids will no longer fight for the front seat because both seats give a great view during the stroll. The rear seat is elevated so that the child at the back can see what is happening upfront. It also comes with fully adjustable sun shades. 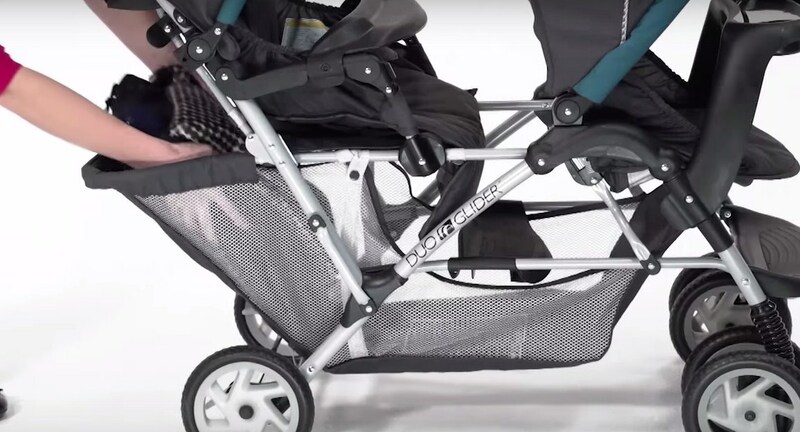 Good Price Point: The Graco DuoGlider Classic Connect Stroller is relatively affordable compared to other double-strollers in the market. If you are looking for a stroller that could seat your two children well (as opposed to other similar products which will have the older child just sitting on a bench), then this double stroller is the right one for your family. Easy to Fold: Graco prides itself for providing utmost convenience to parents who may already be handsful with two children by providing. This is attained by providing the parent or the carer a one-hand folding system that allows the double stroller to lock on its own and is self-standing. Now this is very convenient especially if you do not want to create an obstruction while getting your children into the car. It is also relatively lighter compared to other similar products in the market. Great Storage: This stroller provides large enough storage for the stuff you would need to lug around for the two kids in tow. It comes with an extra-large under seat basket that can accommodate diaper bags and whatever you need to bring. Not great for twins: Once the babies outgrow their car seats, there will surely be trouble when both would like to take naps on a fully-reclined stroller or spacious seating. In a Graco DuoGlider Classic Connect Stroller, only the back seat fully reclines, while the other reclines only up to a certain angle. This is best for kids of different ages as the older child will definitely not need a fully reclining seat in order to take a nap. 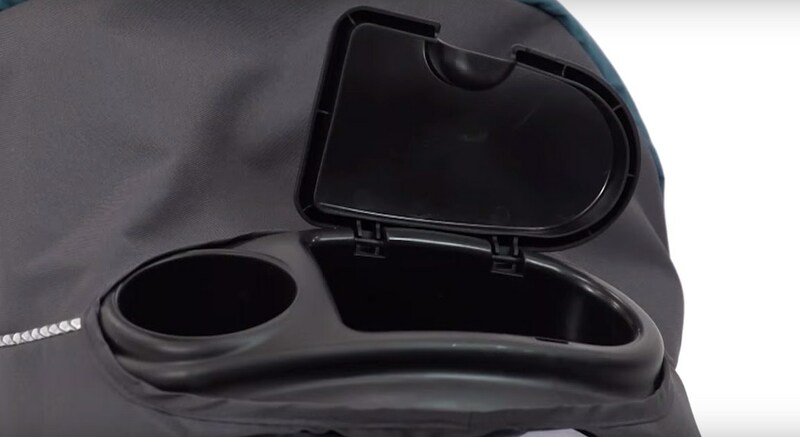 Rear Seat Cup holder is too shallow: The cup holders for the snack trays for this stroller are not the same. The one in front is okay, while the rear cup holder is too shallow that sippy cups and bottles tend to drop in an uneven terrain. If you have children of varying age, and both needs to be in a stroller then the Graco DuoGlider Classic Connect Stroller is a great option for you at a price you can definitely afford. It allows the child seated at the rear seat to see what is up and ahead due to the stadium-style seating. If carrying an infant, a car seat can easily fit into both seats. Both are reclineable, and in fact the rear seat can fully recline to allow for naps. It has enough safety features to put your mind at ease, and more importantly, it is very easy to pack away with its one-hand folding and auto lock, self-standing features. Check my other stroller review about joovy caboose stand-on tandem stroller, it is also a best choice for you.